A few weeks ago I was talking to a New Delhi-based Nepali academic who has closely followed recent Nepal-India engagements. He said something interesting. According to him, the Chinese maintain a jumbo diplomatic delegation in New Delhi and there is extensive contact between Indian and Chinese officials. In his view the level of engagement between the two countries is vast and Nepal is one of many-many issues on the table. What he was getting at is that the Chinese brief Indians about all their dealings with Nepal and there was no way China would jeopardize it's over US $100 billion worth of annual bilateral trade with India.Another Western diplomat, also based in New Delhi, was not so sure of Indian intent. While the Nepali academic hinted that the Indians knew exactly what they were doing in Nepal, the diplomat felt the Indians were still "groping in the dark". They weren't quite sure how to counter growing Chinese inroads into Nepal; nor did they have much clue about how to resolve the outstanding issues in the Tarai belt. I too believe China's heightened interest in Nepal of late has shaken the Indian establishment, which was also partly why the four and half months of border blockade was eventually lifted in February. But will it be right to say that there has been a paradigm shift in China's engagement with Nepal? The answer, again, depends on whom you ask. Most establishment figures in New Delhi continue to believe that China won't in any way try to challenge India's sway in Nepal; that the Chinese, as the Nepali academic in Delhi put it, will first try to take the Indians into confidence if they want to expand into Nepal. But there is also a section in the same Indian establishment which believes that China has already ominously spread its wings in Nepal and urgent steps must be taken to check this steady erosion of India's primacy in its traditional backyard. One thing everyone in New Delhi seems to agree on is that "the Himalayas cannot be shifted". In other words, however cozy Kathmandu and Beijing get, they cannot alter geopolitics. They have a point. It will cost Nepal at least twice as much to import third-country goods through Chinese territories than it could cost to import via Indian ports. Nor are there all-weather roads between Tibet and Nepal. But the moot question for the security hawks in New Delhi is: Is China ready to open up Tibet, its sensitive underbelly, just to help a seemingly inconsequential Nepal? In their reckoning: No. 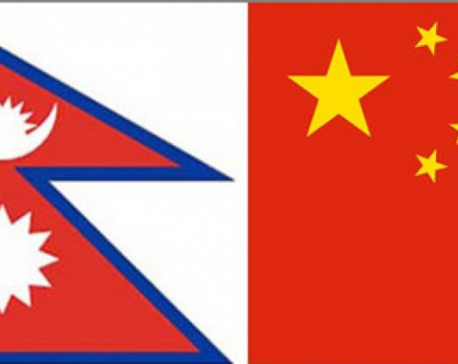 For all these reasons the recent overtures of Nepali government towards China are futile. Nepali Prime Minister KP Sharma Oli is clearly a demagogue who is looking to play the old 'China card' against India. And when has the Middle Kingdom ever come to Nepal's help? Did it do so during India's embargoes in 1969 and 1989? Did Beijing come to Kathmandu's rescue during the most recent border blockade, at a time the country was reeling after a series of devastating earthquakes? Heck, it didn't even open Tatopani. The argument that the Himalayas offer the best defense against China's inroads into Nepal is contradicted by China's rapid expansion of its rail links in the Tibetan plateau. In the words of The Economist, the first railway connecting Lhasa in Tibet with Golmud in Qinghai province to the north—the line later extended to Tibet's second city, Shigatse—"included the highest-altitude stretch in the world, parts of it across permafrost. It required ingenious heat-regulating technology to keep the track from buckling." Confident from this success, China is now building a second Sichuan-Tibet line which presents even more topological challenges. So the mighty Himalayas that once offered a formidable barrier are no longer impassable. Now Nepal wants China to use some of its engineering expertise to build all-weather roads into Nepal. The work to upgrade the Syaphrubesi-Rasuwagadhi highway connecting Kathmandu with Kerung on the Chinese border has already begun. 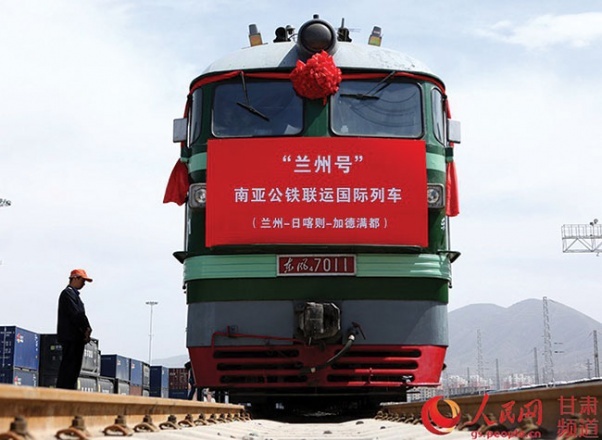 The highway will play an important role in bilateral trade since China also plans to extend the abovementioned Lhasa-Golmud rail line to Kerung by 2020. And since Keyrung is only 27 km from Nepali border, Nepal is requesting that the rail link be extended all the way to the Nepali border—and beyond. The Chinese are positive. Yes, it might still cost Nepal more to import from China, but the opening up of China for trade will be a big psychological boost to the Nepali psyche that heretofore felt constrained by Nepal's India-locked status. As the transport infrastructures improve, the costs will also tumble. Tatopani will soon be operational; the Chinese are already building the Pokhara International Airport; feasibility studies on China-built rail networks in Nepal are underway; and a spate of important bilateral agreements, most notably concerning the implementation of the recent Nepal-China transit treaty, is expected during President Xi Jinping's Nepal visit being planned at the end of 2016. If the Chinese didn't want to open up Tibet for trade, it wouldn't go out of its way to promise so much—and unbidden—to Nepal. The argument that China will not challenge India's primacy in Nepal is also a hard sell. China has been looking to build deeper linkages with all South Asian countries, which is not always to Indian interest. China, it appears, does not have a unique Nepal policy as such. But it does have a South Asian policy whereby it is looking to spread its influence in the region to counter what it sees as joint US-India efforts to encircle it in its own neighborhood. 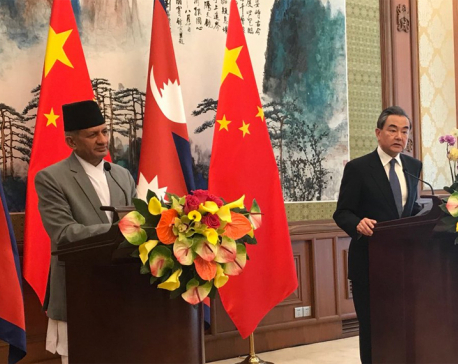 Following India's most recent interference in Nepali affairs, the Chinese have been given the perfect alibi for a more muscular Nepal policy: Perhaps for the first time since the two countries established diplomatic relations in 1955 the Chinese openly lobbied to give continuity to a government in Kathmandu. If so, why does China also appear eager to include India on the new connectivity projects with Nepal, most notably in its bid to establish a China-India-Nepal rail link? Beijing clearly does not want to be seen as directly challenging India. In Sun Tzu's playbook, a little ambiguity always helps. But one thing is for sure: the Chinese will continue with its recent push into Nepal, if only to check undue expansion of US-India influence in Nepal. Although the Indians don't keep Chinese leaders awake at night, India's growing strategic engagement with the US is much more of a concern for Mr Xi and co. For the Chinese, the US, not India, is their main strategic competitor in Asia. True, as the Indian security hawks maintain, the Himalayas cannot be shifted and India will continue to have many advantages over China in its engagements with Nepal. Given the extensive cultural, religious and people-to-people ties between India and Nepal, China had perhaps felt handicapped at how little it could play in the strategic buffer between Tibet and India. So China has jumped at India's offer of a backdoor entry into Nepal.